I applause Wendy Ward for her Beginner’s Guide to Dressmaking. 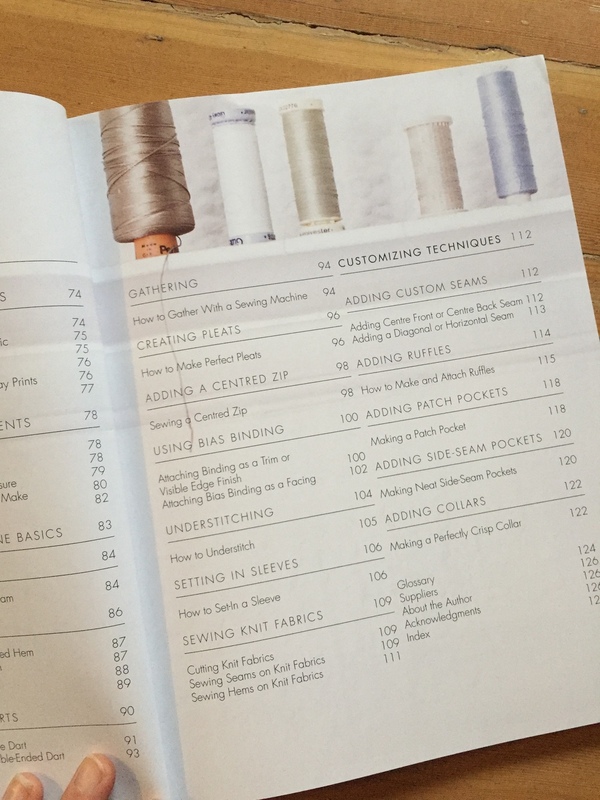 This book is outlined with 6 simple garments where you learn a new skill with each one. Bias binding, ruffling, patch pockets, side seam pockets, collars, zippers, sewing with knit and setting in sleeves are just a few skills that you will learn along the way. Each garment is tastfully designed and comfortable which makes you want to get right to work. I snapped a few photos for you! See you soon at the shop! Just in: Upholstery Fabrics, Water Resistant Canvas, Sew Caroline, + More! Just In: Organic cotton, Apparel Fabrics, Flannel!